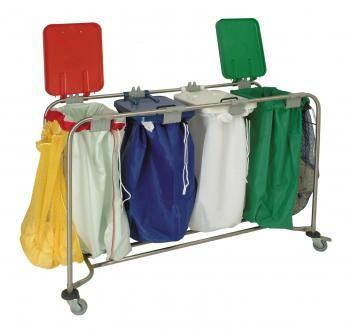 Single Laundry Trolley With Lid - STAINLESS STEEL - Commercial laundry trolleys with one, two, three or four bag capacity. 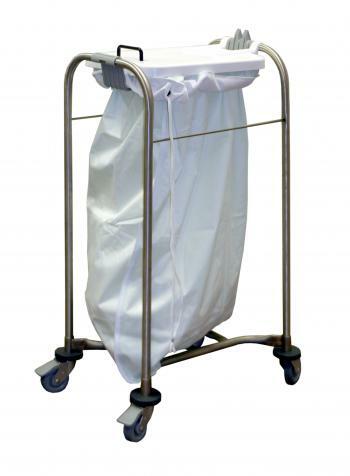 Highly robust range of stainless steel trolleys designed to ensure the optimum method of soiled linen collection whilst improving hygiene standards and reducing labour. 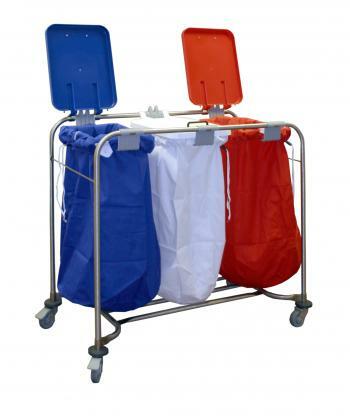 Each trolley is complete with wheels (two with brakes) and colour coded lids for hygiene control. Bags are NOT supplied with the trolley. The bags hang from the trolley by pulling the drawstring over the rim of the trolley. We recommend the use of toggles on the drawstrings for easy fixing of bags. Our standard laundry bags are not supplied with toggles but are available separately and will be offered when you add a trolley to the basket. Trolleys supplied flat packed for easy transport - assembly required. Double Laundry Trolley With Lids - STAINLESS STEEL - Above stainless steel trolley with two bag capacity. Lid colour: white, red. Tripple Laundry Trolley With Lids - STAINLESS STEEL - Above trolley with three bag capacity. Lid colour: white, red, blue. 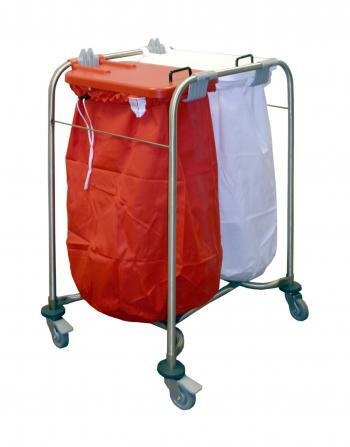 Quad Laundry Trolley With Lids - STAINLESS STEEL - Above trolley with four bag capacity. Lid colour: white, red, blue, green. Professional linen transport and storage solutions. WR3 7RG. 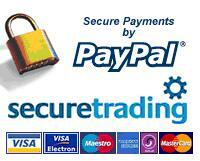 UK UK bag manufacturer and importer.